Umpires will not be instructed to check bats during the regular season. Keep in mind that bats used in All-Stars may be checked and must be approved for play within your sanctioning body. The bat must meet the 1.20BPF stamp. A manager must make every effort possible to field a team with the number of players from his/her original roster. A team must field a minimum of 8 players in order to begin or complete a game. If a team fails to field the minimum number of 8 players required to begin a game or does not have the minimum number of 8 at the completion of the game, the result of the game will be a forfeit. A team may place a late arrival at the bottom of the batting order, before the completion of the original batting rotation. No late arrival may enter the game after the completion of the first rotation of the batting order. An automatic out will be taken for each vacant spot not filled from the original lineup. Only exception to the automatic out will be if a player is injured or becomes ill after the start of a game. Local Interlock rules supersede USSSA Alabama All-Star rules. If a rule is not addressed in the local interlock rules it will revert to the Alabama USSSA Alabama All-Star rules first for a ruling and then USSSA National Rules. 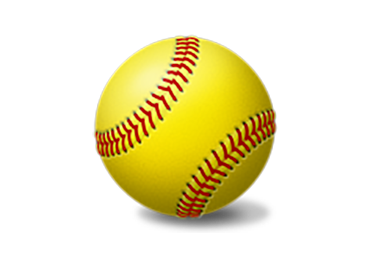 The website is www.fastpitchalrec.com Click on the rules tab found within the green bar located at the top of the page. A manager may use a maximum of 2 players from the same division or pull up from the lower division. The players referenced in the above statement cannot exceed a 9 player roster. A player that is utilized in the above situation can play for each team in a division one (1) time only. The player pulled up or across must bat last and play in the outfield. Players pulled up or across are allowed to play for another team during regular season games only. Playoffs and Championship games can only be played with your original roster.